For our first and only store on 6th Ave in Sunset Park, we're heading over to the City Fresh Market of Sunset Park. 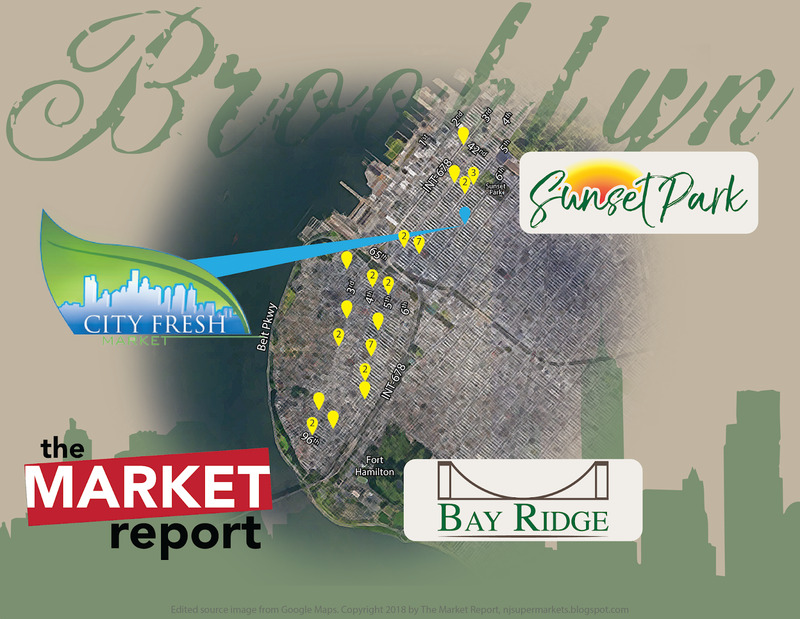 For whatever reason, it's not listed on the main City Fresh Market website at mycityfreshmarket.com, it has its own website with a Cherry Valley Marketplace in Astoria at mysupermarketonline.com. However, otherwise, it's a pretty standard City Fresh Market. 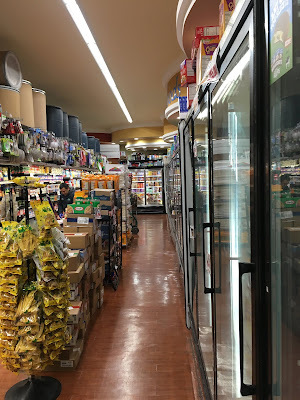 Like most City Fresh and Cherry Valley stores, it was previously an Associated Supermarket. 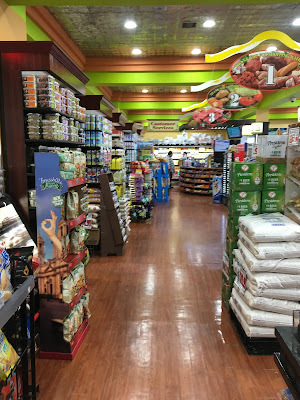 Today, the store has been renovated, although its City Fresh Market logos were recently removed. I'm not quite sure what the story is there. This is a pretty small City Fresh Market, but there is a full hot food department inside. The only seating area is here outside, which is nice in good weather. Do we have a language here that you like? English, Russian, Chinese, Spanish? You can see the exposed brick areas where the City Fresh leaf logo I have on the map has been removed. It's possible that they didn't get the full license for the name, hence the limited use of the branding. This store closed for renovations while being converted from Associated to City Fresh. Which makes sense, because there's just not enough space to shop around ongoing renovations. 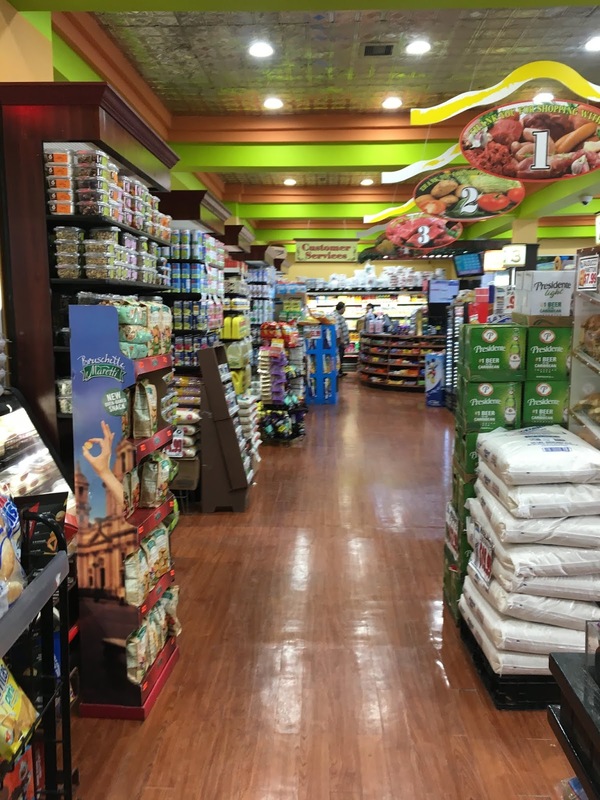 Like most City Fresh Markets, the deli is pretty high-end with a lot of prepared foods. Hot food/salad bar behind the deli. Notice that the ceiling is actually a solid piece, not made up of the ceiling tiles we usually see. This might have been a change made in the renovations. Lots of bright green. Here, I think it's done pretty well, because there's a lot of different bright colors on the walls. You just might come out with a headache. A closeup of the detail over the deli counter. 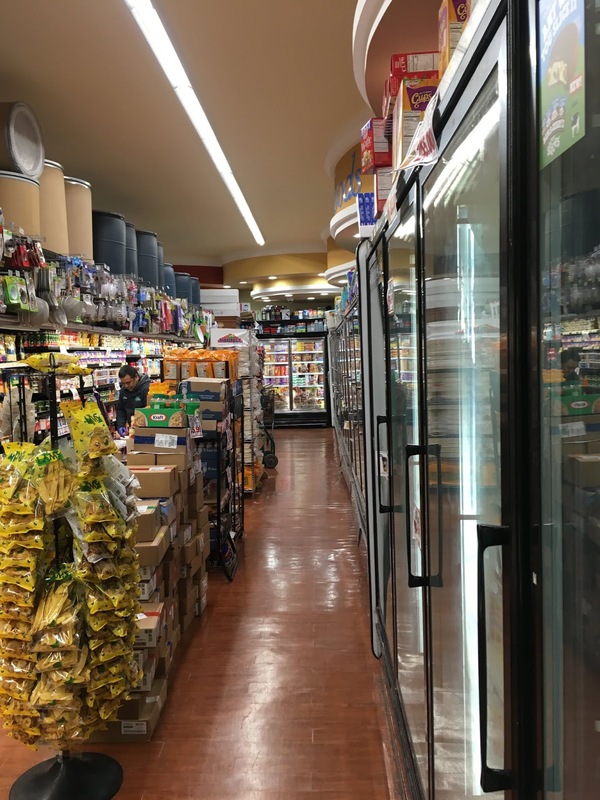 As with many smaller urban supermarkets, the number of units stocked is lower, but the variety is still pretty extensive. Beer across from the hot food bar. The service butcher is located about at the back of the first aisle. The repetition of the curved walls around the store is nice. Between these two pictures, you can see the entire width of the store. It's pretty small! Aisles have newly-installed shelving which is very tall, to maximize selection. 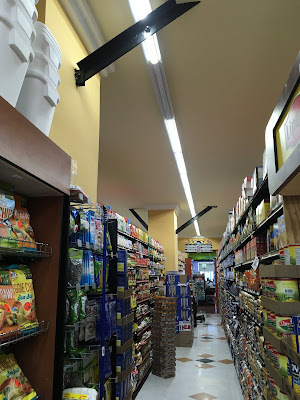 I don't know what the building was before a supermarket, but some traits remain such as these beams in aisle 4. Last aisle contains frozen foods and dairy. Looking down the back wall of the store, we can see the meat department's curved overhang. There was a lot of junk in the last aisle, but they were also in the middle of stocking. Note the Stop & Shop cart on the right! Looking back up the aisle, you can see that it's made even narrower by the merchandise in the middle of it. Customer service/HABA is located at the front of the last aisle. Notice the imitation tin ceiling, which is a staple in City Fresh stores. We saw it in Union City as well. Huge windows let in a lot of light along the front end. And notice that although there are only four registers, they're set up in sets of two so that cashiers 1 & 2 and 3 & 4 each have their backs to each other, rather than all of them facing the same way.